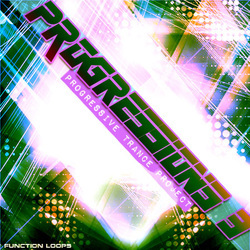 Explore the latest Progressive Psytrance sound with Function Loops: always bringing to you the most up-to-date sound! Like the previous releases in tis series, this Cubase 5 project contains both audio and MIDI channels, EQ's, Reverbs, Delays and more, so you can easily remake and change the project to use for your own productions and gain more tricks and knowledge how to make "that" sound. You don't need any extra VST's to run the project and you will find exported WAV files near each MIDI channel. All sounds are royalty free, so enjoy the ride! The project uses a simple, easy to understand layout and uses only Cubase's plugin suite meaning that you can load and edit this project without 3rd party plugins. 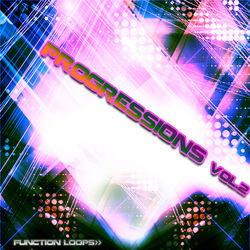 'Progressions Vol 2' kicks again with a brand new project for Cubase 5.0. This time it's a commercial Trance/Progressive Trance project! Inside you will find the whole arrangement, basslines, MIDI files and notes, separated loops and hi-hats, effects, melodies, riffs and synth lines! Everything is made using only Cubase Vsts so you don't need any other software. You can see and learn exact EQ cuts, how to use Reverbs and Delays, Filters and automation. The project is simple and not too much complicated, makes it user-friendly! The project combines the light side of Trance and the more hard elements, so you can remake it, change, and take it to the direction you wish your new track would sound! Twisted Reaction kicks back with a brand new project for Cubase. One of his last unreleased tracks is given away as a Cubase 5.0 project. Get it, remix it, play with it and send your remix back and maybe you'll get a release deal! In the project you will find all the percussion loops, so you can learn how to make your own, all bassline midi files in seperate folder so you can use them in your future projects. This is an ultimate learning project, that will help you to get a idea how to make "that" psy-trance sound! 'Progressions Vol 1' from Function Loops contains a Tech-Trance Progressive/Psy-Trance project for Cubase 5.0. This is a simple project for learning some basic techniques of production. The project will help you to understand how the things go together, it's not complicated like other projects that you find on sale, it's clear and simple. The project will help you to understand how the things go together, it's not complicated like other projects that you find on sale, its clear and simple as it shows you exactly how to make professional kick and bass, hi frequencies, riffs, melodies, special effects, breaks and passovers. You can see the arrangement and mix, some channels have EQ, Reverb, Delays, Limiters, Dynamics and more, so you can learn how it works. 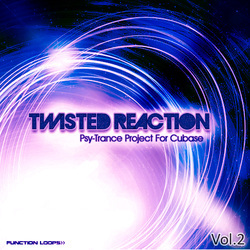 Function Loops presents Twisted Reaction's latest Psy-Trance track as a Cubase 5 project. The Psy-Trance template uses a simple, easy to understand layout and uses only Cubase's plugin suite meaning that you can load and edit this project without 3rd party plugins. This time Twisted Reaction decided to give away one of his tracks, a full Psy-Trance project for Cubase 5.0. In the project you can see many trix and tips how to make your trax sound Killer! You can learn how to arrange the track in a right way, how to use EQ's, Delays, Reverbs, how to write your own bassline and riffs and much more!